Go On Location: Famous Film & TV Restaurants in L.A.
Los Angeles has never suffered from a shortage of fabulous places to grab a bite to eat. From Downtown to Hollywood, Santa Monica and Pasadena, there is a unique bistro, café, delicatessen or gastropub situated on virtually every street corner ready to welcome a hungry patron. 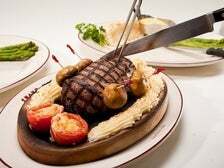 For those who prefer their meals with a side of show biz history, here are 11 famous film and TV restaurants that you can visit in L.A.
What do you do if you’re a teenager ditching high school for the day and the restaurant you’ve chosen for lunch is booked solid? Why, steal someone else’s reservation, of course. In the 1989 hit "Ferris Bueller’s Day Off," Ferris (Matthew Broderick) does just that at the ritzy Chez Quis, snagging the reservation of Abe Froman, the “Sausage King of Chicago,” so he can dine with his buddy Cameron Frye (Alan Ruck) and his girlfriend, Sloane Peterson (Mia Sara). While a building in the Windy City was used for exterior shots of the swanky eatery, interiors were filmed at L’Orangerie, which opened in 1978 and was known for decades as one of L.A.’s most exclusive eateries. 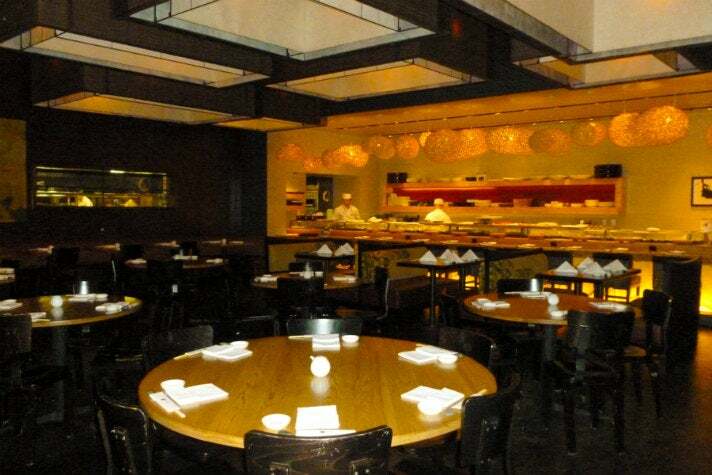 After it closed on Dec. 31, 2006, the Nobu Group took over. 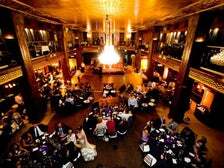 Though the space was remodeled quite extensively, the layout is still recognizable from its appearance as Chez Quis. During its time as L’Orangerie, the property was also featured in "Dangerous Game," "St. Elmo’s Fire," "Brewster’s Millions" and "Intolerable Cruelty," as well as in episodes of "The Colbys," "Hart to Hart," "L.A. Law" and "The Closer." In the most famous scene from the 1995 comedy "Get Shorty," loan-shark-turned-movie-producer Chili Palmer (John Travolta) throws a stuntman named Bear (James Gandolfini) down a flight of stairs at an upscale eatery. Palmer’s verdict? “That’s not bad for a guy his size.” The notorious stair-throwing scene was lensed at the Santa Monica outpost of the Asian fusion chain Wokcano. At the time, the restaurant was known as Abiquiu. 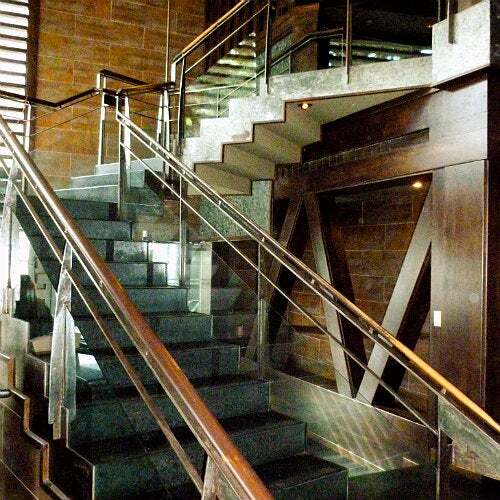 Though the site’s décor and fare have changed quite a bit since filming took place, the dramatic three-tiered, glass-walled staircase still looks exactly as it did during Gandolfini’s tumble. When Jerry Maguire (Tom Cruise) asks Dorothy Boyd (Renee Zellweger) if she wants to go out to dinner with him in the 1996 hit rom-com "Jerry Maguire," she responds that she knows a great place. The couple winds up on a first date at Paco’s Tacos, a brightly-decorated, always-bustling Mexican restaurant located about five miles north of LAX. Jerry and Dorothy, who is dressed to the nines (“That’s more than a dress – that’s an Audrey Hepburn movie!”), sit in front of the restaurant’s hand-painted fish tank, which is still there in much the same state that it appeared onscreen. Nearly everything Paco’s serves is handmade in-house, from the salsa to the chips and tortillas, which you can watch being crafted in the main dining room. 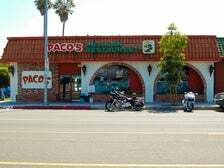 A Westside staple for decades, Paco’s was also featured several times in the 1970s television series "CHiPs." 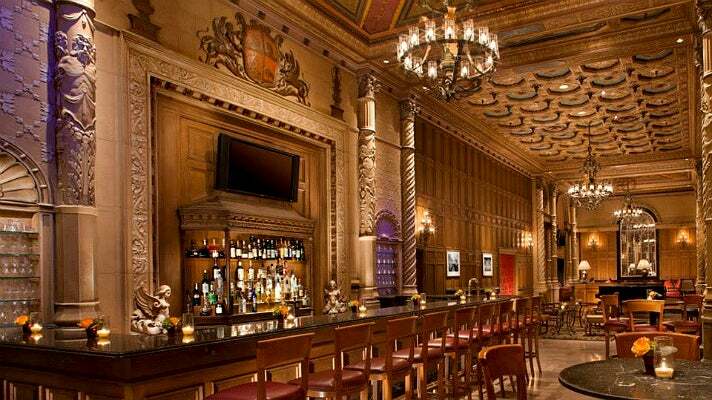 The Gallery Bar and Cognac Room is one of L.A.’s most opulent and beautiful bars, located just off the main lobby of the Millennium Biltmore Hotel in Downtown L.A. Adorned with carved wood paneling, sculpted columns, and ornately painted ceilings, the dimly lit space evokes the romance of a past era. One step inside and it’s easy to see why the site has served as a backdrop in countless productions over the years. Diane Kruger goes on a date at the Gallery in "National Treasure: Book of Secrets"; Christina Hendricks meets a client for drinks in a Season 7 episode of "Mad Men"; and in an ill-fated move, Idris Elba eats a burger with Ali Larter there in "Obsessed." Jennifer Aniston has shot two movies at the Gallery - Ben Stiller advises her of the perils of eating out of a bar’s shared nut bowl in "Along Came Polly" and Kevin Costner tells her the truth about her family in "Rumor Has It." Thirsty patrons should request a Black Dahlia Martini, a signature Gallery drink named in honor of one of L.A.’s most famous unsolved murder cases. Actress Elizabeth Short, nicknamed the “Black Dahlia,” walked out the Biltmore’s doors on Jan. 9, 1947. Her body was found six days later in an abandoned field. The Biltmore doorman is said to be the last person to ever see the Black Dahlia alive, when he tipped his hat to her as she walked south down Olive Avenue. In 1990, Julia Roberts accidentally tossed an escargot shell across an elegant restaurant and audiences fell in love. The movie was "Pretty Woman" and the restaurant was Rex iI Ristorante, located on the ground floor of the Art Deco-style James Oviatt Building. 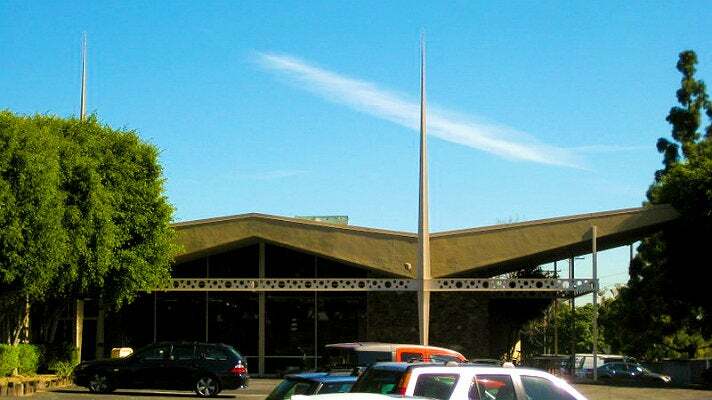 The space currently houses Cicada, and thanks to the landmark building’s inclusion on the National Register of Historic Places, it looks exactly the same today as it did on screen. Cicada’s palatial interior, which is modeled after an Italian cruise liner, has long been a favorite of movie and TV producers. Before becoming Mr. and Mrs. in real life, Brad and Angelina tangoed there in "Mr. and Mrs. Smith." Queen Latifah and Steve Martin also danced at the restaurant in "Bringing Down the House." In a "Mad Men" season 4 episode, Cicada stands in for New York’s famed Waldorf Astoria hotel, where Don Draper (Jon Hamm) wins his first Clio Award. Peppy Miller (Bérénice Bejo) insults George Valentin (Jean Dujardin) while being interviewed there in "The Artist." Other appearances include "Mr. Deeds," "Bruce Almighty" and "Indecent Proposal." One of cinema’s most famous restaurant scenes didn’t actually take place at a restaurant, but at a former bowling alley dressed to look like a ‘50s diner. In the 1994 classic "Pulp Fiction," Vincent Vega (John Travolta) and Mia Wallace (Uma Thurman) go out to dinner at Jack Rabbit Slim’s, which Vincent describes as being “like a wax museum with a pulse.” They enter and win the World Famous Jack Rabbit Slim’s Twist Contest. Unfortunately, the unique eatery never actually existed. Its 1950s-inspired interior was a set that was constructed inside a warehouse in Culver City. Exteriors were shot at the now-closed Grand Central Bowl. The bowling alley is now part of the Walt Disney Imagineering campus in Glendale. While the facility is not open to the public, the Jack Rabbit Slims exterior can be viewed from both Flower Street and Sonora Avenue. 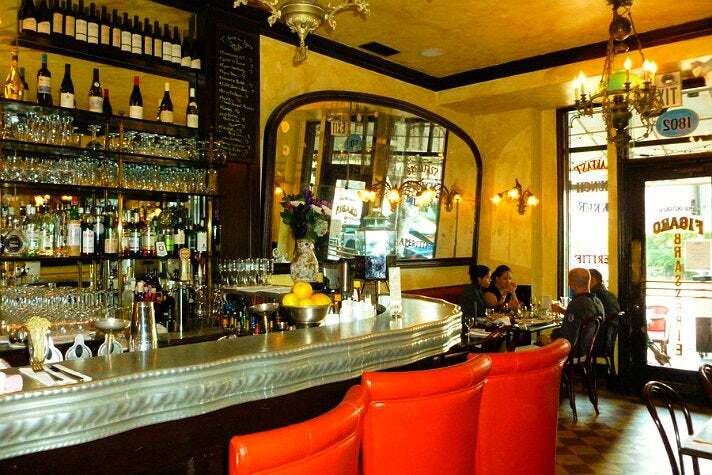 Angelenos searching for a French experience close to home can find it in the heart of Los Feliz. 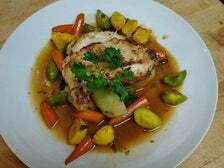 Figaro Bistrot is a little slice of Paris in the middle of bustling Vermont Avenue. The picturesque French café, which boasts sidewalk tables, gilded mirrors, flower-shaped sconces and a zinc-plated bar, evokes a fantasy Paris – the Paris of the movies, the Paris that Bogie and Bergman so fondly remembered in "Casablanca." The idyllic eatery has popped up numerous times on screen. 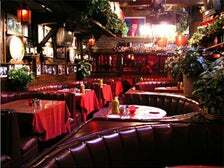 In its most memorable appearance, the restaurant’s main dining room is the romantic backdrop for the violent scene when Alex Montel (Oliver Martinez) murders his uncle with a knife in the 2003 action flick "S.W.A.T." In lighter fare, Figaro plays the favorite New York bakery of Tom (Patrick Dempsey) and Hannah (Michelle Monaghan) in "Made of Honor." A very grown up Sally Draper (Kiernan Shipka) orders a coffee there in the “Mad Men” season 5 episode “Commissions and Fees.” Pop superstar Madonna posed there for her Louis Vuitton spring/summer 2009 advertising campaign. Figaro has also been featured on "90210," "Californication" and the 2012 comedy "Ruby Sparks." 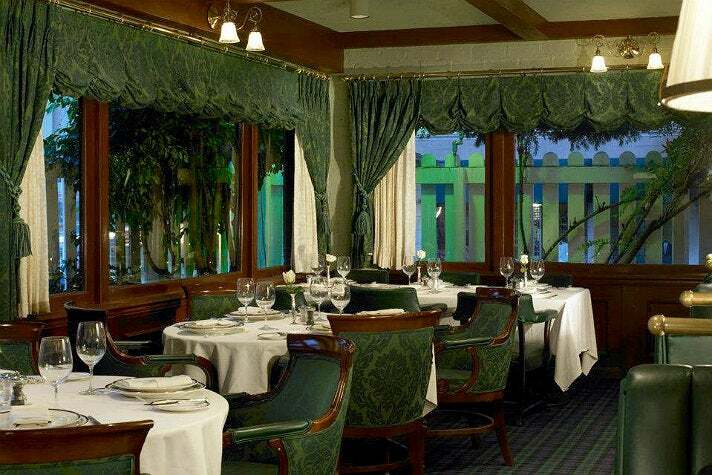 One of L.A.’s oldest operating eateries, the Pacific Dining Car was founded in 1921 by Fred and Grace Cook. Inspired by a restaurant they’d visited in New York, the couple created a replica train dining car to house their small steakhouse, which moved to its current location at 6th and Witmer in 1923. 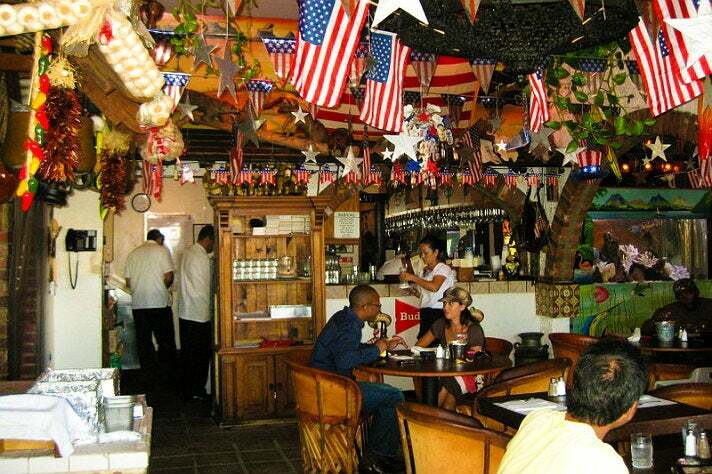 Though Fred and Grace have since passed away, the restaurant is still owned and operated by their family to this day. Open 24 hours a day, the Pacific Dining Car was an early favorite of the Hollywood set, with Mae West, Louella Parsons and Mickey Cohen counted as regulars. In more recent years, Nicolas Cage, Johnny Depp and novelist James Ellroy have been known to drop in. The richly-colored interior has been immortalized numerous times on screen, most famously in the 2001 crime drama, "Training Day." 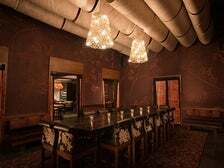 In the restaurant’s Pacific Northwest Room, Denzel Washington meets with the Three Wise Men and recommends the Baseball Steak. In the 1974 noir classic "Chinatown," the exterior briefly masks as the Pig ‘n Whistle in a series of photographs that J.J. Gittes (Jack Nicholson) looks through. The steakhouse also popped up in 2008’s "Street Kings" and 2011’s "Rampart." 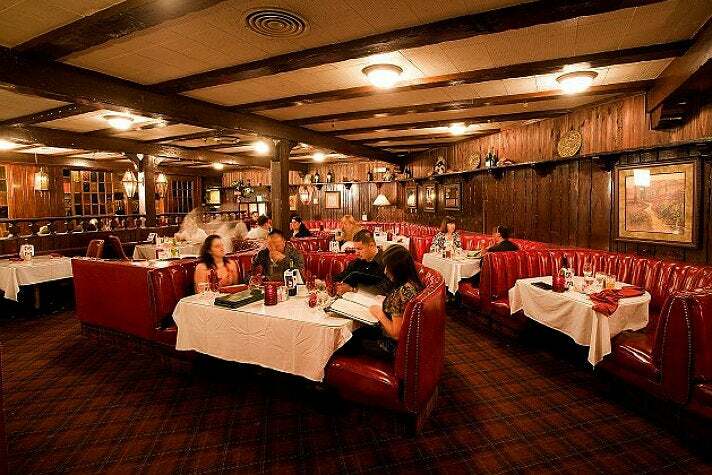 It’s been said that change is the only constant in L.A. That’s not the case at The Apple Pan. The historic diner was originally established by Alan and Ellen Baker on April 11, 1947 and little about the place has been altered since then. The eatery still stands in the exact same spot where it opened, it’s still owned and operated by the Baker family, and most of the employees have worked there for decades. That consistency has proved effective – most days The Apple Pan is standing room-only. The restaurant is so popular and enduring that many of its time-honored methods, including serving burgers wrapped in paper on small cardboard plates, have been utilized by the Johnny Rockets chain. The tiny, 26-stool eatery was the inspiration for the Peach Pit, where the West Beverly High gang hung out on the TV series "Beverly Hills, 90210." The Pit’s Season 1 set was painstakingly modeled after the interior of The Apple Pan, with a U-shaped counter centered around an open kitchen. Stepping inside The Apple Pan is like walking into an episode of "90210" - Brenda, Dylan and Brandon not included. 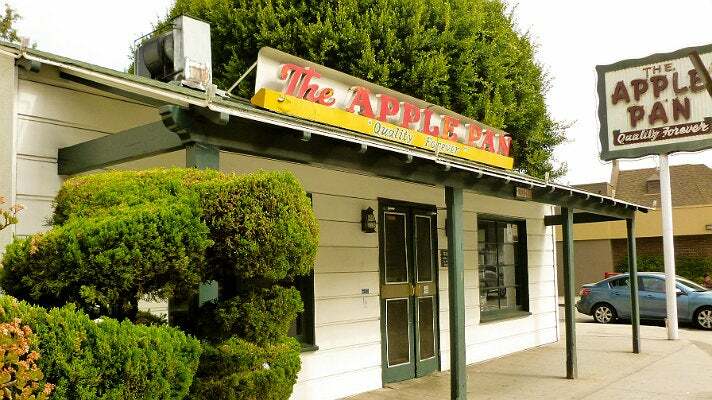 The exterior of The Apple Pan was also used in establishing shots of the Peach Pit in early episodes of the series. Much like its on-screen counterpart, The Apple Pan specializes in burgers, sandwiches and pies - just don’t expect to find the Pit’s famous Mega Burger on the menu. 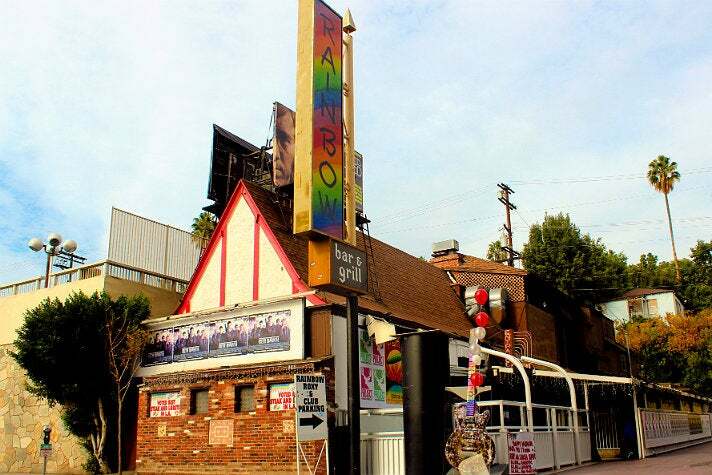 Situated between The Roxy and 1 Oak on the legendary Sunset Strip, the Rainbow Bar & Grill is one of L.A.’s most historic watering holes. Founded in 1972, the establishment has long been the preferred Los Angeles hangout of countless rock legends and has appeared in numerous music videos over the years, including two by Guns N’ Roses - “November Rain” and “Estranged.” The eatery also popped up in the Season 2 episode of Californication titled “The Great Ashby.” The Rainbow's main claim to fame is that it was the site of Marilyn Monroe and Joe DiMaggio's first date in March 1952. 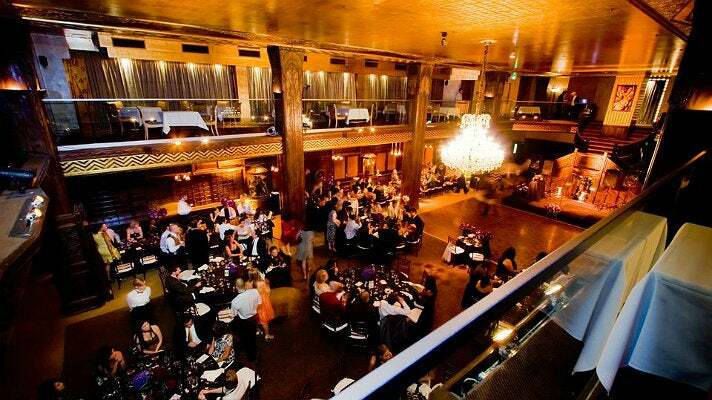 At the time, the space housed Villa Nova, an Italian restaurant owned by Vincente Minnelli (father of Liza). Despite the ownership change and the span of more than six decades, the restaurant still looks much the same today as it did when Marilyn and Joe first dined there. 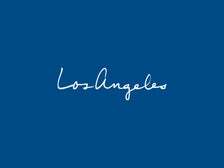 The City of Angels once again gets a star turn courtesy of La La Land. The characters Mia and Sebastian, played by Ryan Gosling and Emma Stone, sashay around town in love with each other and Los Angeles. 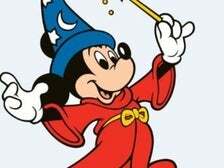 Read on for how to make your own magic during a movie-like visit.